Mark Hogan, chair of Belmont University’s Education Department, was recently asked to serve on the Educator Support and Effectiveness working group as Tennessee begins to design the Every Student Succeeds Act (ESSA) plan by the Tennessee Department of Education (TNDOE). A member of one of the six working groups formed to focus on Tennessee’s educational policies surrounding assessment, accountability, support for all learners and educators and school improvement, Hogan and his team will begin meeting in July. The teams will continue to collaborate through the remainder of the summer to contribute to’s ESSA transition plan. The groups will be lead by two senior education officials from the state and will be made up of 10 educational leaders from local communities and school districts. Hogan, who joined the Belmont faculty in January 2014, said he identifies as a strong advocate for children, families and the profession of teaching. In addition to serving on the ESSA strategic working group, Hogan was recently asked by the TNDOE to serve on working groups looking at Tennessee’s accreditation of Education Program Providers and the TN Report Card. 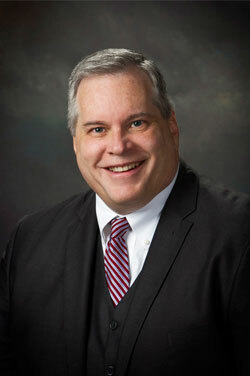 Hogan is also the President-Elect of the Tennessee Association of Colleges of Teacher Education.